Get now the Addict EVO 4S unisex Winter and summer jacket in Black / Fluor by On Board. 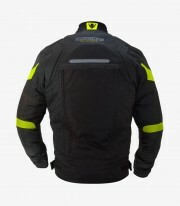 The Addict EVO 4S unisex On Board Winter and summer jacket is now available in acmotos in Black / Fluor color. It's based on NY-TEX fabric (Nylon 550D) highly resistant to abrasion. Includes The membrane called DRY-B that waterproofs the jacket while transpiring and it is a windbreaker. It includes a thermolite thermal inner lining 100grs removable by zipper. 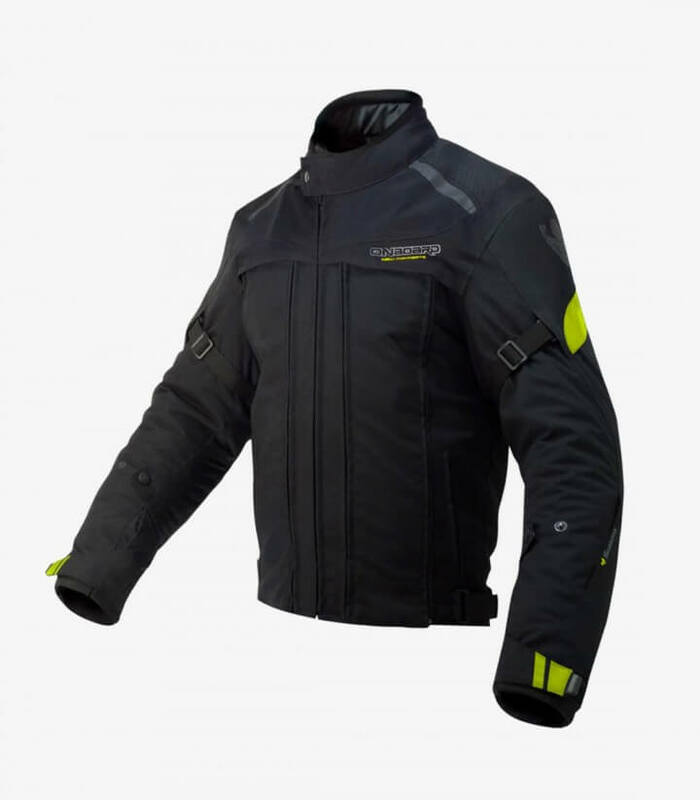 Includes technology that is to say that it includes a removable and fully waterproofed frontal collar thanks to the DRY-B membrane and the use of waterproof zippers. When extracting it the jacket becomes ventilated and open so that you can use it either in summer or winter. it has included elbows, shoulders and back protection homologated and removable. It includes 3M different reflective materialthat reflect the lights from the rest of the vehicles and it makes you more visible on the road. Tensioners in the arms, adjustable in the neck, waist and wrists. The neck is made-up with a soft fabric that avoids irritations very comfortable for the skin. It has a zipper to tie together the jacket and the biker pants.